Civil Engineering Scanned Hand Written Study Materials from Reputed Institutions and Faculties. 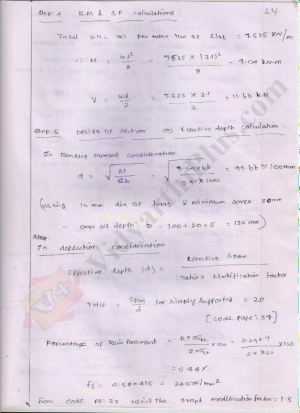 Structural Dynamics and Earthquake Engineering Premium Lecture Notes Prepared and provided by N.Vignesh Kumar Kamaraj College of Engineering and Technology. Specially for Civil Engineering. Syllabus Covered based on B.E Civil Engineering. Ground Improvements Techniques Handwritten Premium Lecture Notes. Specially for Civil Engineering Candidates. Syllabus Covered based on Anna University Seventh Semester. Mechanics Of Solids Premium Lecture Notes, Prepared by Raji. Specially for Civil Engineering . 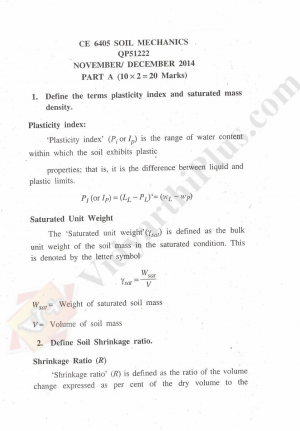 Syllabus Covered based on Anna University B.E Civil Engineering. 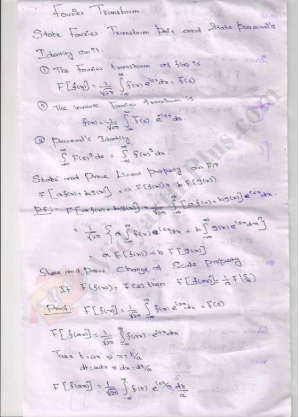 Transforms and Partial Differential Equations Handwritten Premium Lecture Notes, Prepared by Kavi. Specially for Engineering Candidates. Syllabus Covered based on Anna University Third Semester. Municipal Solid Waste And Management Handwritten Premium Lecture Notes, Prepared by Suji. Specially for Civil Engineering Candidates. Syllabus Covered based on Anna University Seventh Semester. 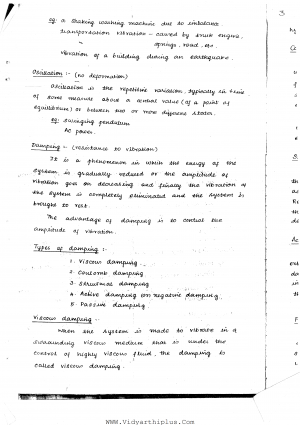 Highway Engineering Handwritten Premium Lecture Notes. Specially for Civil Engineering Candidates. Syllabus Covered based on Anna University Fifth Semester R2013 and Fourth Semester R2008 Regulation.